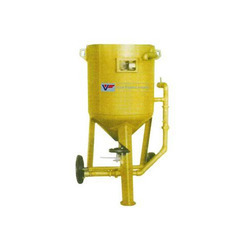 We are among the recognized names in the industry for manufacturing and supplying Manual Blasting Machine. The offered machine is made in tune with the set industry norms and offers hassle free operations for a long period of time. It is user friendly, ideal for heavy duty usage and is resistant to corrosion. Being a client-centric firm, this machine is offered at cost-effective prices as well. Looking for Manual Blasting Machine ?